Memorial Arena sat in the middle of downtown Warroad. It was the very definition of a hockey barn. Sarcastically nicknamed the “Castle on the Corner” or the “Gardens” by locals, the wooden, high-arching arena lacked many of the amenities that are standard at modern facilities. 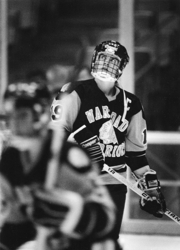 Plexiglass was among the rink’s many missing features. Warriors fans, literally, stood right on top of the action. As a defenseman, Olimb didn’t have the option of banking the puck high off the glass and out of the Warriors’ zone. Not that he needed such a safety valve. The slick-passing Olimb possessed exceptional skating ability, allowing him to simply wheel the puck out of the defensive zone on his own. 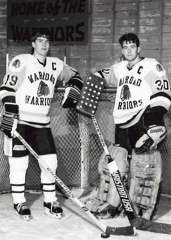 “Nobody was any better at that than Larry,” said Dave Marvin, Olimb’s Warriors teammate, neighbor and fellow rink rat growing up. Olimb was especially dangerous when Warroad was killing a penalty. 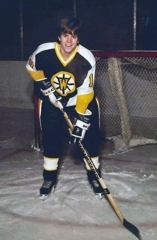 Former Warroad coach Tom King remembers a game against Detroit Lakes that began inauspiciously for Olimb and the Warriors. 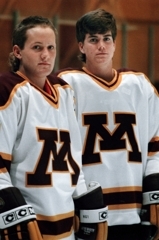 “We had just got done playing Fergus Falls (the night before) and we were on our way home,” King said. “We had picked up a game against Detroit Lakes and we were struggling. We’re not playing very well, just kind of going through the motions. King had seen, and heard, enough. The Warriors were trailing 1-0, but the score was hardly a concern. Olimb was benched for the rest of the first period. The second period began as poorly as the first ended. Warroad took another penalty. Olimb scored another shorthanded goal. 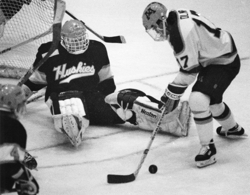 Olimb was a junior in 1987 when Warroad beat Crookston 4-1 in the Section 8 title game and earned the program’s first state tournament appearance since 1970. The Warriors beat Hill-Murray 5-1 in the quarterfinals. Skating mostly two lines and three defensemen, they lost 5-3 to Burnsville in the semifinals. Larry Olimb lives in Plymouth and works for Carlson Real Estate Company. 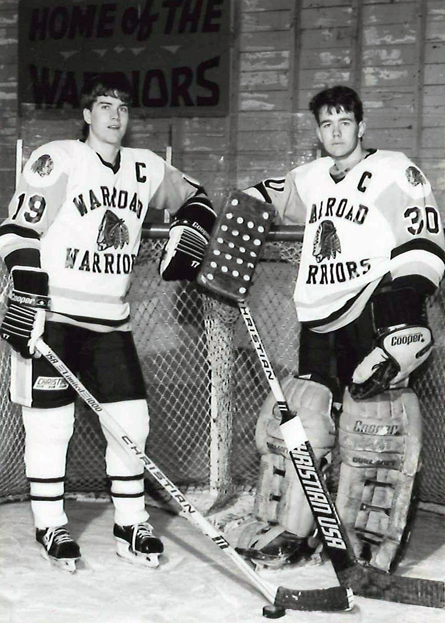 Warroad reached the state tournament again in 1988, and again the Warriors won their quarterfinal game (3-1 over Duluth Denfeld) before losing to a behemoth Twin Cities program in the semifinals. This time it was Edina beating the Warriors 2-1 in two overtimes. 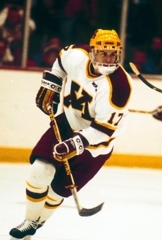 Olimb was named Mr. Hockey after the state tournament, and he went on to star at the University of Minnesota. He finished his four-year career with the Gophers as the program’s all-time assist leader with 159. 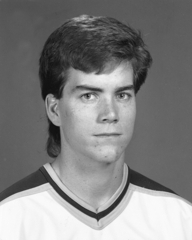 Olimb, who played briefly in the minor leagues, won senior hockey's presitgious Allan Cup with the Warroad Lakers in 1994. 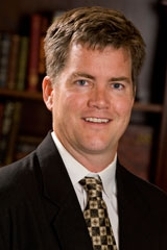 A former head girls' hockey coach at Wayzata, Olimb works for Carlson Real Estate Company and lives in Plymouth with his wife Karla and their three children, Nathan, 14, Jackson, 8, and Elizabeth, 7.